Fight for supremacy of the high seas! 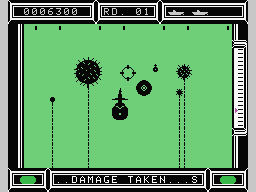 As the pilot of the Subroc sea-to-air attack vehicle, you were hailed as a national hero after single-handidly repelling the enemy army which was trying to gain control of the commercial sea shipping lines. But this victory only served to strengthen the enemy's resolve, and now they are back with a vengeance! Luckily, you are now in command of the SubRoc Mark-II, which is fully submersible, making it a force to be reckoned with on the high seas. 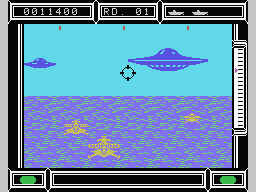 Destroy enemy saucers, robotic boats and incoming missiles on the surface, then dive underwater to face enemy submarines and mines. Your government is counting on you! 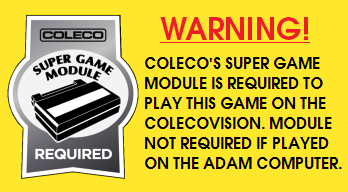 The origin of this Coleco ADAM game conversion can be traced back to a poll on the AtariAge forums, which was started in January 2014. 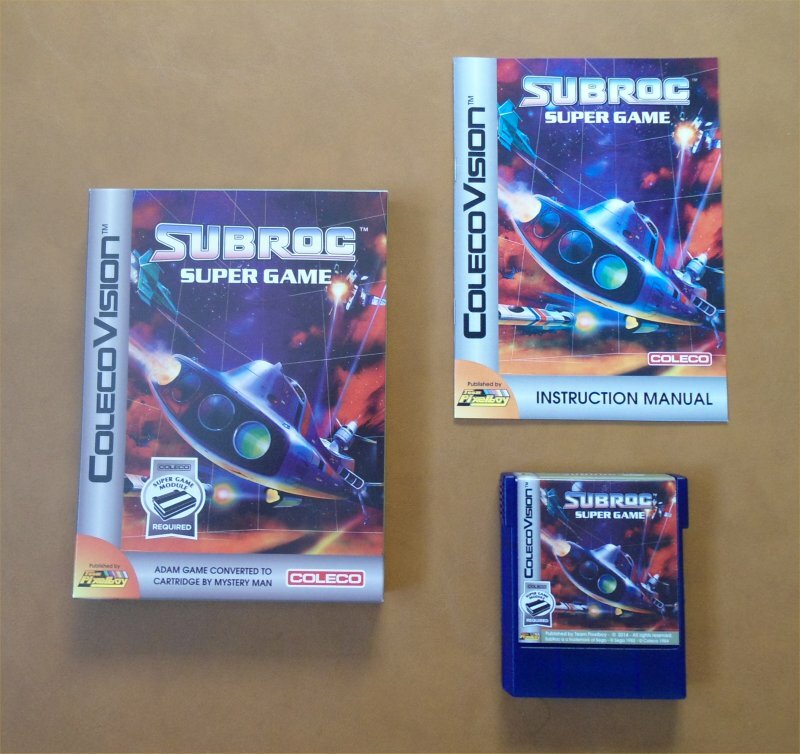 The results of the poll convinced me that it was worth the trouble to port the famed Subroc ADAM game prototype to cartridge format, and I asked Mystery Man if he could be interested in doing this conversion. He accepted and got started on it a few weeks later. This game was completed and released in 2014. SPECIAL THANKS: Reinhard Traunmüller, Dan Michaels, Christian Martin, Kendal Mertens, Jim Notini, Tommy Boyer, Andrew Welburn, Albert Yarusso, and all AtariAge forum members. 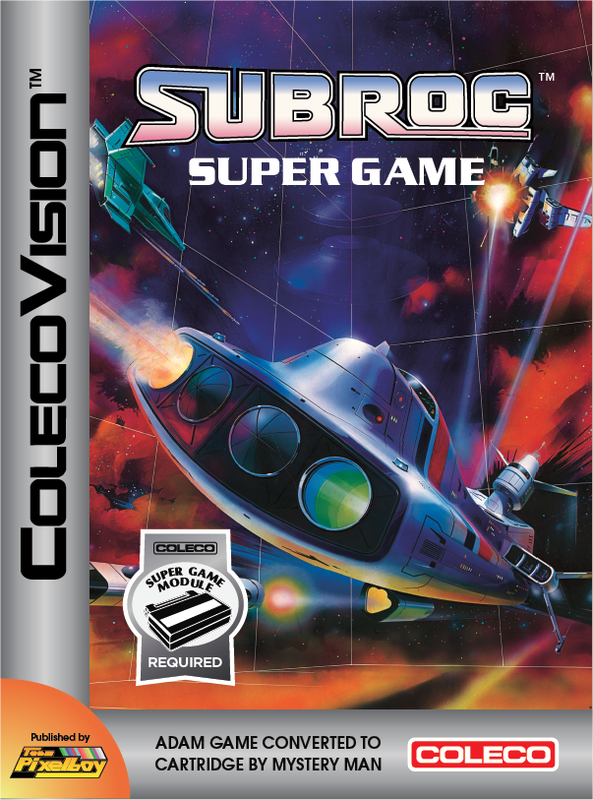 Here is a YouTube video of the cartridge edition of Subroc Super Game.